Certainly, you have found offers from many service providers during your search and you do not know what your decision will be based on. How big is the company’s service range? For example, can it provide me a tax adviser, an accountant, a payroll accountant? Can it provide help in the official administration? Our company has it all. We can take all office work from you here in Germany. Let’s clear, what the company establishment means exactly. Establishing a company means that the company is registered at the commercial court. Therefore, when you agree with a service provider, you must clear what other services you will need. At our company, the company establishment does not end at the registering of the company at the commercial court, but until the registering of the business license. Of course, we will not leave you alone after this, if you need it, we will stay behind you all along with our different services. For the purpose that you can focus on your company in 100%. Be very careful also with those companies that do not work with fixed prices but where the price has a range. In this case, you cannot calculate with the hidden prices, and it is not clear how much it will really cost for you to establish the company. Our first consultation is free of charge for you. Contact us in person, on telephone or via Skype, and we are happy to give you advice! We are available from Monday to Friday, from 10.00 am to 5.00 pm. Or use our recall service; we will call you back with pleasure. In Germany, the biggest challenge for the company (mainly in the first three months after the establishment) will be the orientation in the jungle of authorities. You will need our support mostly in daily work. During this, the biggest challenge is the correspondence with the authorities. You my leave this for us, and this way you can not only save time but also anger, and a lot of money. 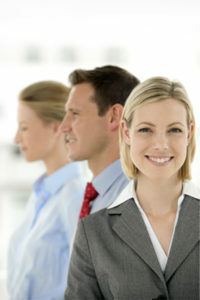 Your biggest advantage: there are no salary costs incurred, 13th month salary or payment of sick pay in case of illness. We have a worldwide network of recognized law firms, tax advisers, translators and interpreters (within this, court interpreters). After the establishment of the company, we provide you a variety of services. Our aim is that you remain our client even after the establishment of the company. We put a great emphasis on the quality of our work, and we know: there is no better advertising than a satisfied client. What is a Ltd. & Co. KG? Or GmbH & Co. KG or UG & Co. KG? 2014-2019 © All rights reserved. Making copies of all pictures, texts, codes or other materials shown on the website is only possible with the operator’s written consent.